Fionnuala Britton made an impressive debut in the marathon finishing 10th in a time of 2.31.46 at the European Championships! The time is the 4th fastest ever by an Irish women. Sarah Mulligan placed 36th in 2.42.43 and Barbara Sanchez 41st in 2.42.59. 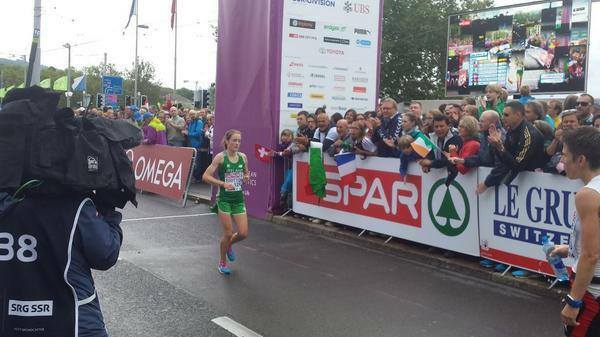 The Irish team placed 7th in the European Marathon cup.